SeeMe (Space Enabled Effects for Military Engagements) is prototype small satellite built by the Raytheon for DARPA to obtain on-demand satellite imagery in a timely and persistent manner for pre-mission planning. DARPA’s SeeMe program aims to give mobile individual US warfighters access to on-demand, space-based tactical information in remote and beyond- line-of-sight conditions. If successful, SeeMe will provide small squads and individual teams the ability to receive timely imagery of their specific overseas location directly from a small satellite with the press of a button — something that’s currently not possible from military or commercial satellites. The program seeks to develop a constellation of small “disposable” satellites, at a fraction of the cost of airborne systems, enabling deployed warfighters overseas to hit ‘see me’ on existing handheld devices to receive a satellite image of their precise location within 90 minutes. DARPA plans SeeMe to be an adjunct to unmanned aerial vehicle (UAV) technology, which provides local and regional very-high resolution coverage but cannot cover extended areas without frequent refueling. SeeMe aims to support warfighters in multiple deployed overseas locations simultaneously with no logistics or maintenance costs beyond the warfighters’ handheld devices. The SeeMe constellation may consist of some two-dozen satellites, each lasting 60-90 days in a very low-earth orbit before de-orbiting and completely burning up, leaving no space debris and causing no re-entry hazard. The program may leverage DARPA’s Airborne Launch Assist Space Access (ALASA) program, which is developing an aircraft-based satellite launch platform for payloads on the order of 100 lbs. ALASA seeks to provide low-cost, rapid launch of small satellites into any required orbit, a capability not possible today from fixed ground launch sites. 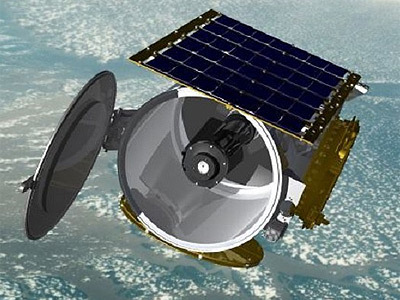 The first SeeMe will be launched onboard of the eXCITe (PTB 1) satellite, which was originally manifested on a Falcon-9 v1.2 in 2016, then on an Indian PSLV rocket. The satellite was launched on Spaceflight Industry's SSO-A multi-satellite launch on a Falcon-9 v1.2 (Block 5) rocket.